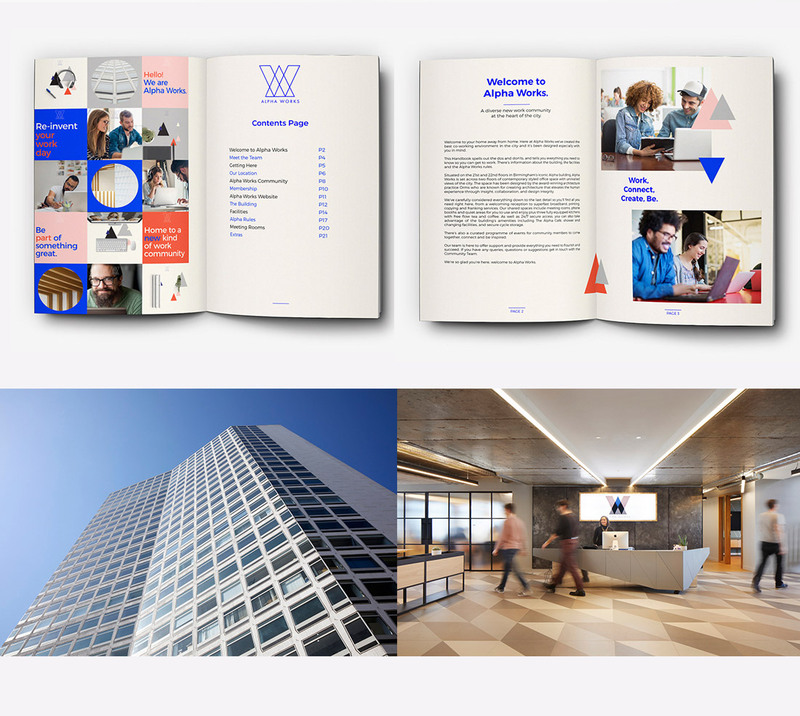 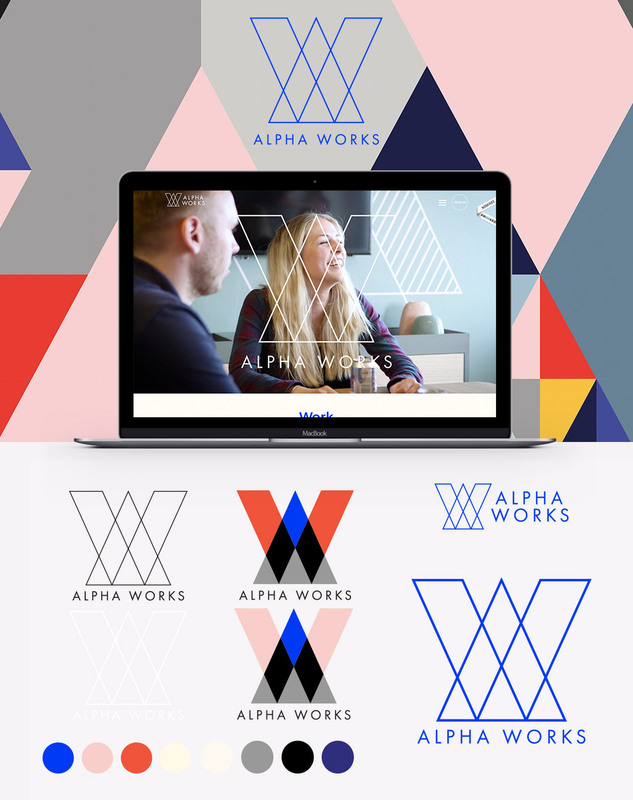 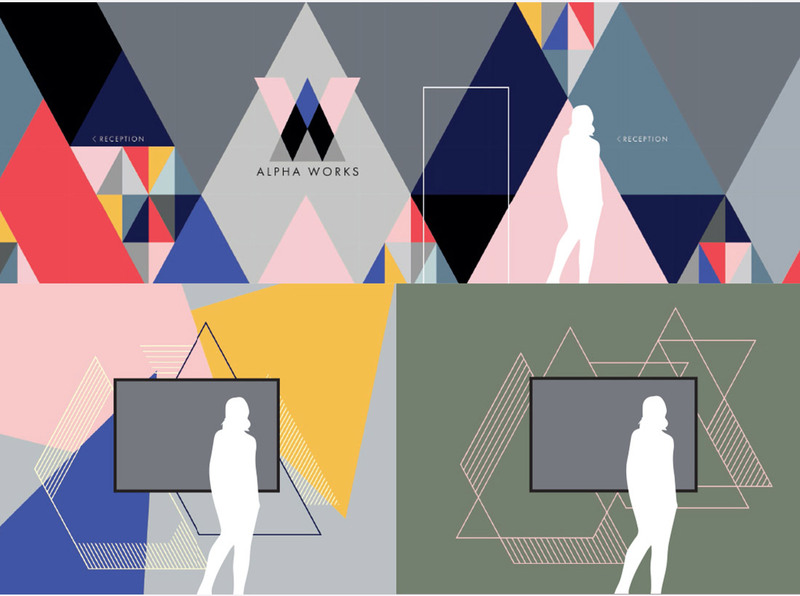 Alpha Works is situated on the 21st and 22nd floors in Birmingham’s iconic Alpha building, its set across two floors of contemporary styled office space with unrivalled views of the city, designed by the award-winning architecture practice Orms. 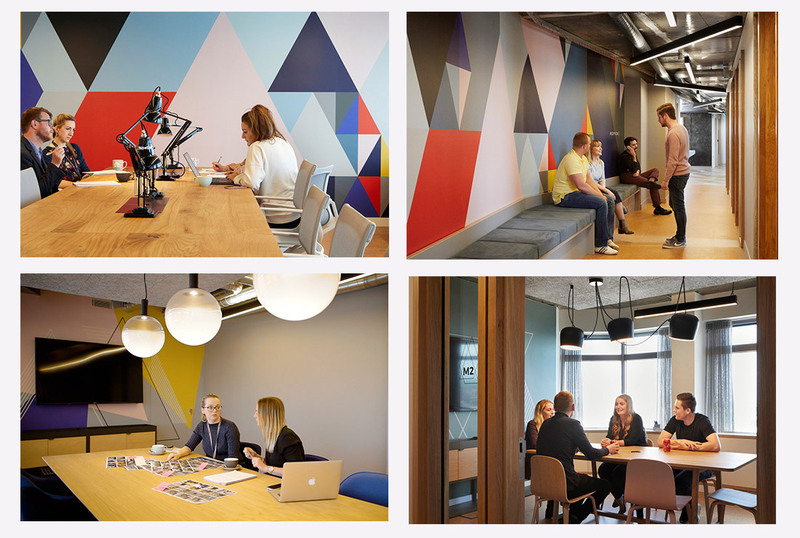 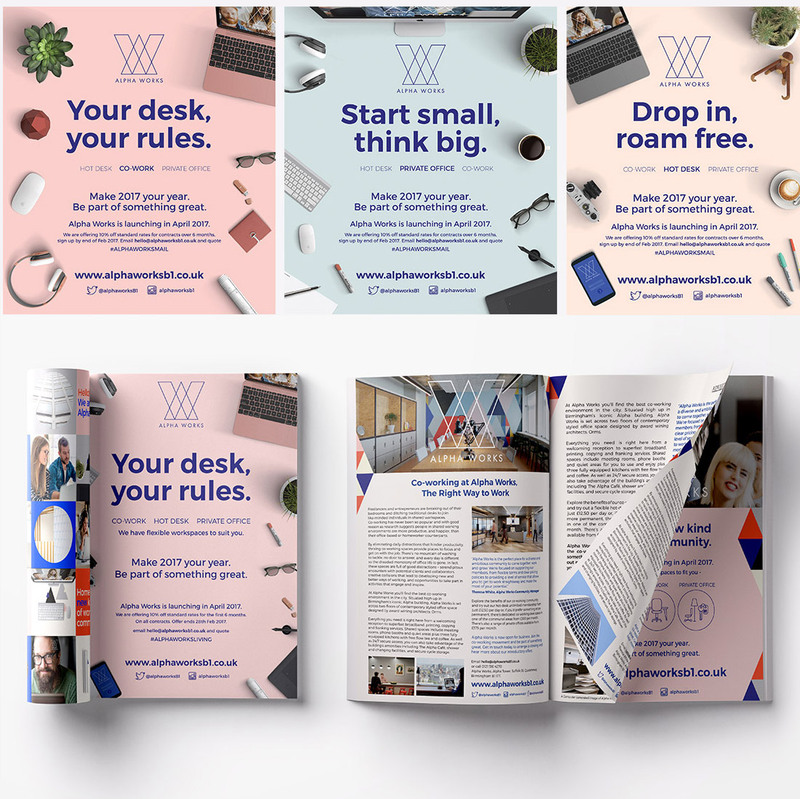 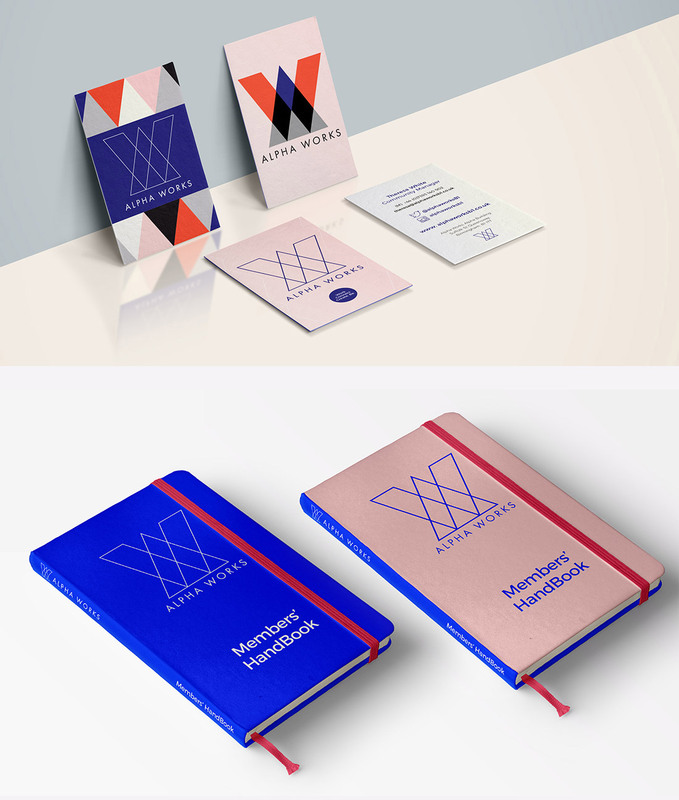 Introducing co-working, hot-desking and private offices for the first time to the Birmingham market, the brand needed to be fresh & fun, targeting a range of creatives and professionals in the 20’s-40’s demographic. 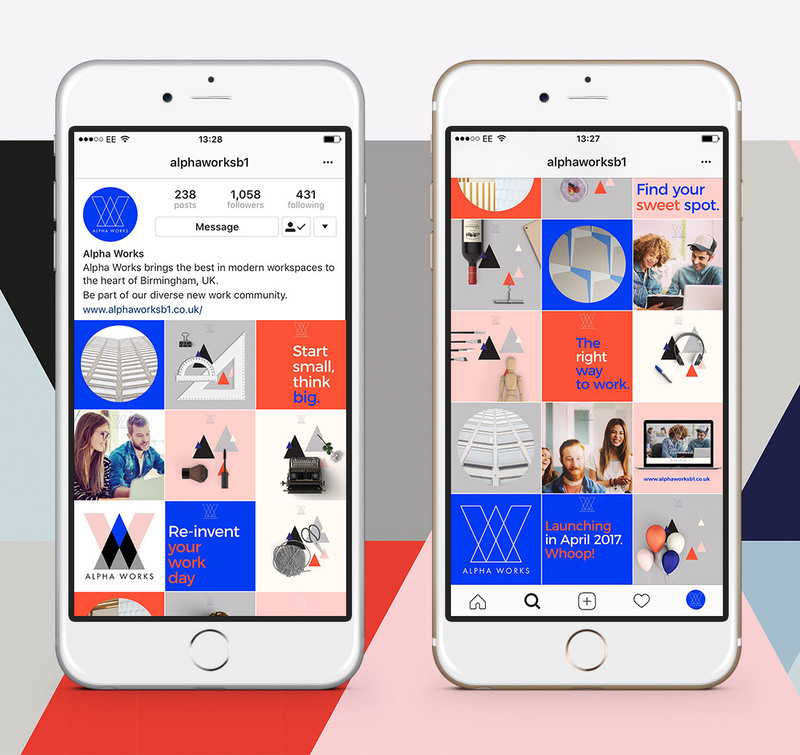 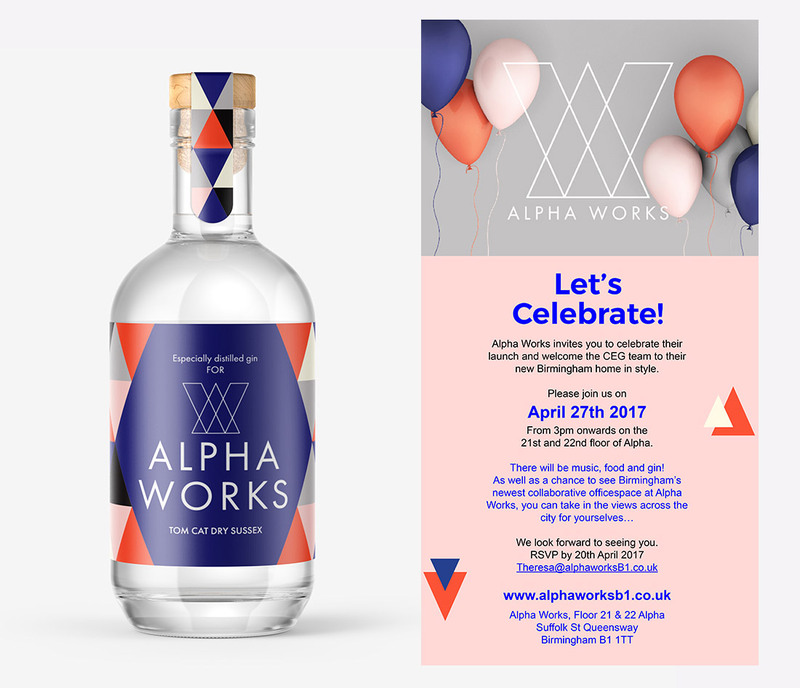 Alpha Works reached 75% capacity in the first month, within 5 months its now thriving with 100% capacity and plans to renovate another floor in 2018 to fulfil the waiting list.